How to Brew Crio Brü - Instructions for French Press and Coffee Maker. 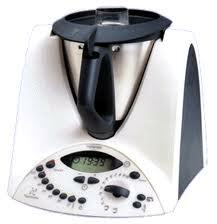 Brew Crio Brü for a Healthy Drink, Chocolate Coffee, Coffee Blending or Coffee Substitute. Crio Brü can be prepared any way that traditional coffee is prepared. This opens up endless possibilities as you enjoy this artisan roasted cocoa. You can drink Crio Brü “black” with nothing added or you can experiment by adding your favorite creamer, sweetener and spices. A dash of cinnamon, for example, is delicious in Cavalla. Crio Brü can be mixed with your favorite coffee grounds to make an incredible Crio Mocha. You can brew it in a standard auto-drip machine with a permanent filter or in a French Press. To brew a thicker and richer Crio Brü, think hotter and longer. Set your auto-drip to brew slowly or brew it longer in a French Press. Below are some useful guidelines for brewing Crio, but keep experimenting until you discover your signature Brü. Remove the piston and the top from the French press. Add Crio Brü grounds. Add two level tablespoons of your favorite Crio Brü into the French press per Crio cup* that you are going to brew. The more grounds you add, the more full-bodied your Brü will brew. Measure water. Measure water for each of Crio cup* you wish to brew. Heat water. Bring water to a boil (stove top or microwave) and then cool for thirty seconds. The temperature of the water should be 90.5-96.1 degrees C (195-205 degrees F). Add hot water. Pour heated water into the French press over the Crio Brü grounds. Stir. Use a plastic or wood spoon to avoid damaging the glass of your French press. Place top and piston on the French Press. DO NOT depress yet. Let it Brü. Steep ten to twelve minutes then stir again to increase body and flavor. Depress the piston. Making sure the “spout” is facing forward, slowly depress the piston until it has reached the bottom of its stroke. Let it settle. Wait 30 seconds for grounds to settle before pouring. Serve and enjoy! Just as with coffee, adjust to personal taste with creamer and/or sweetener. Creative - Bold - Adventurous Method: Try brewing with boiled milk, almond milk, or light chocolate soy milk. It's wild! 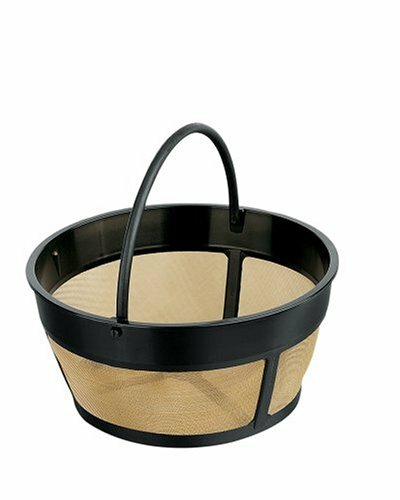 Place gold witer basket/filter into the coffee maker. Do not use a paper filter (it will absorb the rich, chocolaty flavors and potentially overflow). Add Crio Brü. Add two level tablespoons of your favorite Crio Brü blend into the filter per each Crio cup*. Add water. Measure amount of water needed and pour into the reservoir of the auto-drip machine. Brü. Wait for the brewing process to complete. If the coffee maker allows, a slower brew cycle will make a more full-bodied Brü. * A “Crio cup” measurement of water is 6 fl. oz. 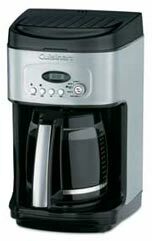 ** A permanent "gold wire" filter ensures the coffee maker will not overflow. Place 50g into bowl with 8-900g water and cook for 10 min/90°C/speed 2. Whiz for 10 sec/speed 5. Measure water. Measure 7 cups water for every 1 cup Crio Brü. Add Crio Brü. If brewing on a stove top, reduce heat to simmer, stirring occassionally. Watch closely as the pot can boil over within first few minutes. Simmer. Let simmer for 10-15 minutes. Be careful not to overextract by steeping longer. Strain. Pour brew through strainer into another pot or bowl. Press. Pour into French press and press or pour through a chinois. Serve and enjoy! Just as with coffee, adjust to personal taste with creamer and/or sweetener. Crio will remain hot in an airpot or thermos.